ABC/ RadioKhalid just enjoyed one of the greatest weeks of his life as he returned home to El Paso, Texas to perform two sold out shows, and also received the key to the city. September 13 was declared “Khalid Day” in El Paso as he was honored by the Mayor and the City Council. “I wanna give a big thank you to Mayor Dee Margo and the city of El Paso for giving me the key to the city, this is such a huge honor,” Khalid commented on Instagram with a photo of him with the Mayor. The five-time Grammy nominee also dropped a new song, “Better,” dedicated to his hometown. 915 is the area code for El Paso. 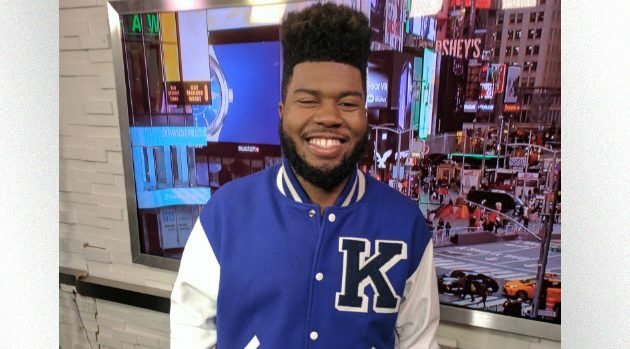 To make the past week even “Better,” Khalid received four American Music Award nominations: New Artist of the Year, Favorite Male Artist – Soul/R&B, Favorite Album – Soul R&B, and Favorite Song – Soul/R&B for “Young Dumb & Broke.” In addition, his duet with Normani, “Love Lies,” has hit #1 on the Billboard Pop Songs chart.